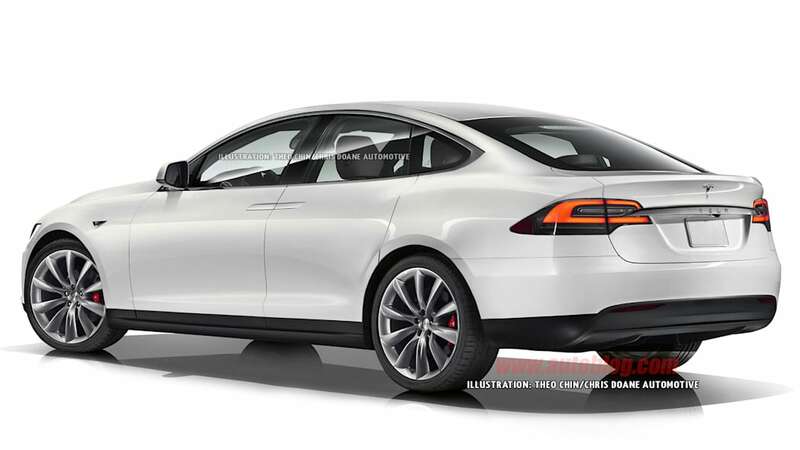 A Tesla Model 3 Rendering by Theo Chin / Chris Doane Automotive. Front 3/4. A Tesla Model 3 Rendering by Theo Chin / Chris Doane Automotive. Rear 3/4. Theophilus Chin is no stranger to creating digital renderings of non-existent Tesla vehicles. We've seen his imagination take on the Model S Coupe and the Model ST wagon, for example. Today, he turns his pen to the Tesla Model 3. This rendering has a lot of the Model X in the grille-less front end, but the coolest feature (especially for a fake-y digital car) is the suicide doors. The shape of the headlight and the way it plays into the fender reminds us a little of the Jaguar XE, and the side mirrors and wheels seem stripped straight off a Model S. The hatch-like profile has a bit of a BMW 3-series GT vibe to it, as well. We've heard speculation that the actual Model 3 is going to be an aerodynamic wonder, so who knows what it'll need to do to achieve a low drag coefficient. Back in the real world, the Model 3 is going to be Tesla's lower-cost option, arriving in 2017 with the range expected to be over 200 miles. The sticker should be around $35,000. In order to hit that price, Tesla CEO Elon Musk has said his company will need a 'fully operational' Gigafactory to produce lower-cost batteries. 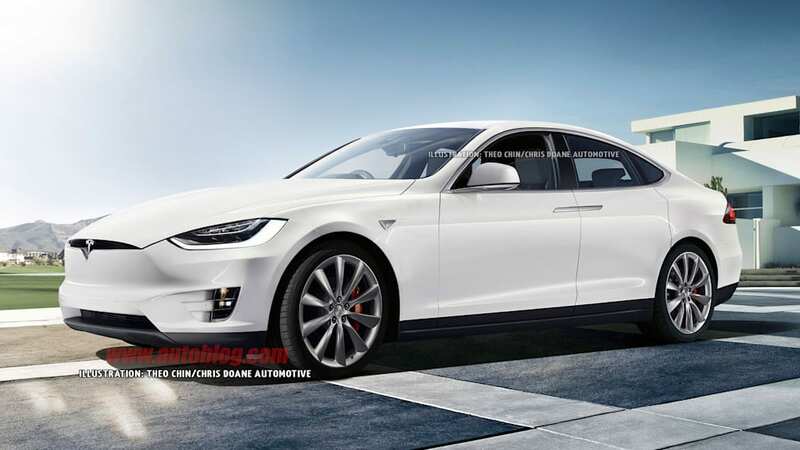 As for what the Model 3 actually looks like, well, we're going to have to wait until March 2016 to find out. We had a possible - and vague - hint in this 60 Minutes clip, but at least we have something to comment on until then.